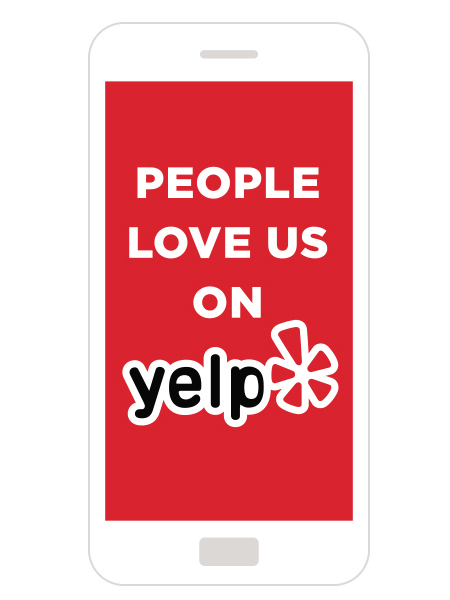 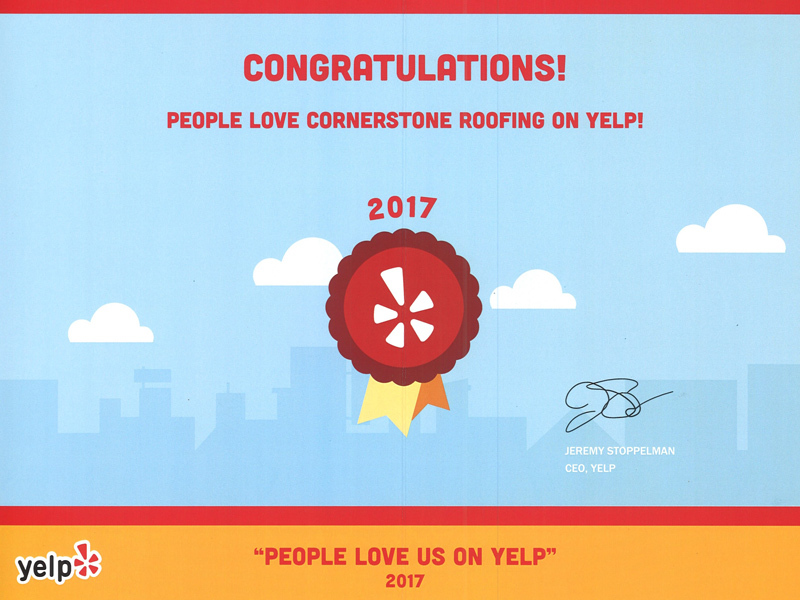 2017 "People Love Us On Yelp" Award - Cornerstone Roofing, Inc.
Yelp has announced their 2017 “People Love Us on Yelp” Awards and Cornerstone Roofing, Inc. is so excited to have received this two years in a row from Yelp‘s CEO Jeremy Stoppelman! 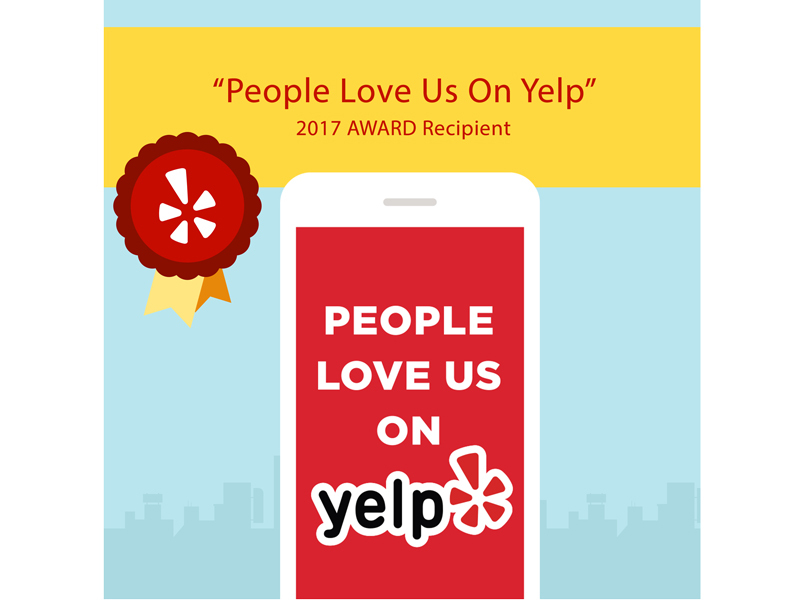 Yelp started the award program in 2016 so to receive the award in both 2016 and 2017 is quite an honor! 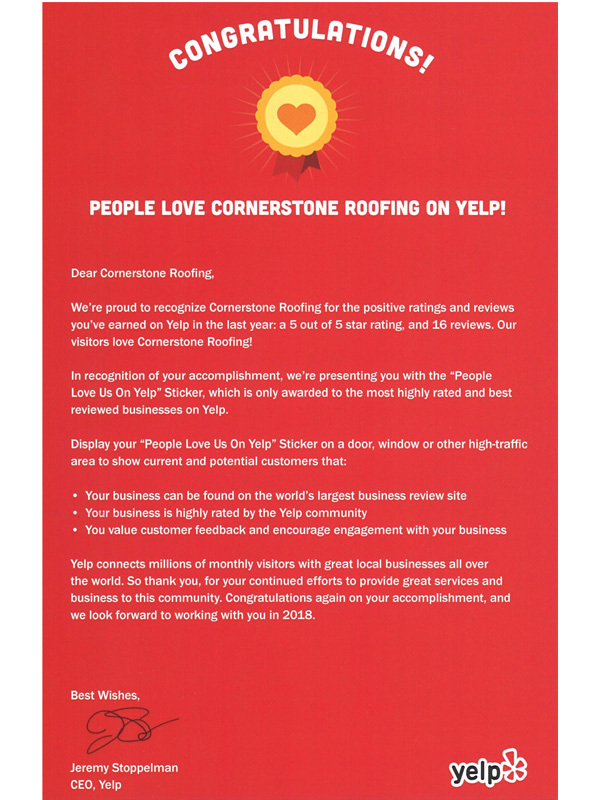 Thank you to Yelp, our local Yelp Seattle team, and our clients for making this possible and helping us achieve this award for a second consecutive year!